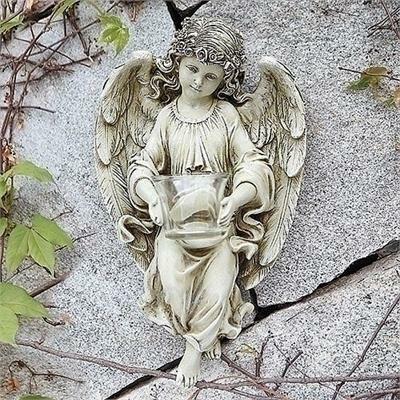 Add interest to the garden walls with this candle holder showing an angel holding a tealight candle holder. The sculpture is designed to work with teh walls and comes beautifully detailed as shown. Resin and stone mix.